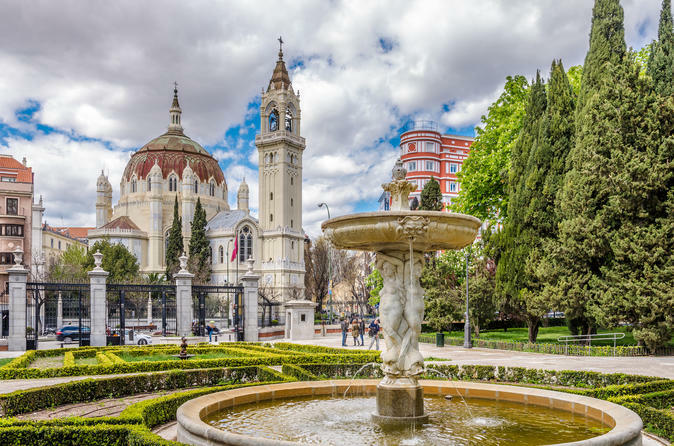 From exploring an off the beaten path neighbourhood to seeing the city’s most iconic sights, with a like-minded Local Host by your side, you’ll be able to immerse yourself in Madrid’s vibrant culture and get a taste of local life. On your bespoke and personalised experience, discover world famous attractions as well as stopping by locals’ favourite coffee shops, boutiques, bars, eateries as well as finding hidden gems, so you can get the best of both worlds during your visit to Madrid. Tick the famous attractions off your Madrid bucket list, and discover places you’d never have known about - all with a local friend by your side! Wander through one or two neighbourhoods of Madrid with a Local Host who knows and loves the areas, visiting the most famous attractions in the city or immersing yourself in off the beaten path neighbourhoods to discover the authentic spots where locals eat, drink and go with friends. Stop for tapas or a beer at one of the local’s favourite bars, cafeterías or street food markets; a place that suits your preferences, budget and dietary requirements. Stop by any shops, galleries, markets or spots that catch your eye as you make your way through the city on your personalised route which remains flexible throughout, get local insight into well known sites and discover a few hidden spots that you wouldn’t find in a guidebook. Your Local Host will also advise you on the best way to spend the following days of your trip, allowing you to discover other areas of Madrid that you will love. With a local by your side, you’ll be able to go beyond the superficial and connect with Madrid and its people, getting to know what truly makes the city unique.